Millennials are ages 20 to 37ish, are tech savvy, a digital era in motion. Coming up next is a generation that’s tech conversant from childhood, are more-than-savvy with tech toys and experiences, and are now moving into their teen-age years. Worldwide and here in the U.S., Generation Z will grow up as tech maestros to an extent beyond that imagined by today’s mix of Baby Boomers, Gen X and Gen Y/Millennials. Gen Z will be more comfortable with a whole range of digital devices — they grew up with them, they are ‘second nature’ with #DigitalLife… #WearableTech and #digitalbody connections will make sense in new ways and new forms we have only begun to imagine. What is Gen Z and What Does It Want? Internet connectivity will be ‘old hat’ and social networks will be part of everyday life. Children with iPads, tablets and phablets are already a norm and, as an example of shifting trends, worldwide-popular Lego sets are giving way to Lego virtual sets and games, Lego animation and Lego e-themed parks. 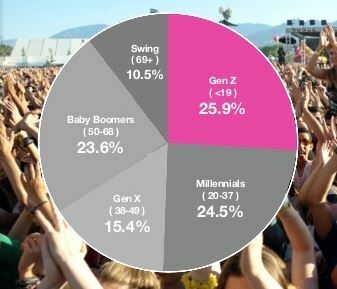 Boomers, Gen X and Gen Y – Millenials are ubiquitous terms among marketers. So who are Gen Z? Gen Z are sometimes called Generation Next or Generation I .